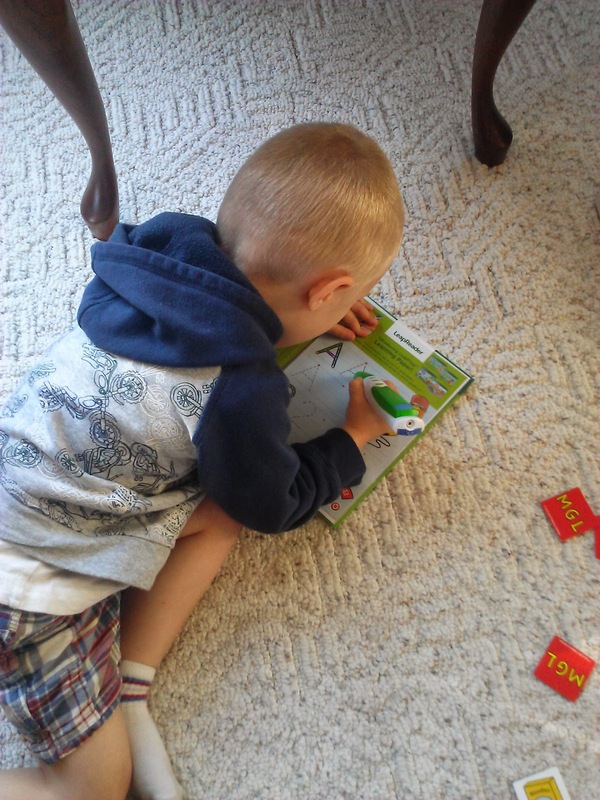 My goal this school year is to teach my son how to read. Since I am not a professional teacher, I am always looking for as much help as I can when it comes to helping him learn! So what is my new helper this school year? 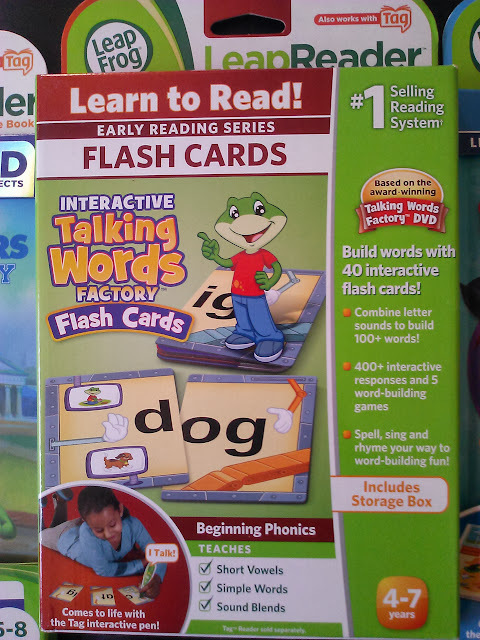 LeapFrog and their awesome LeapReader, the complete learn to read and write system for children!!! I recently got to host a "Ready, Set, Read & Write!" Party with all my son's friends who are also in the reading and writing stage and I was so excited to try out these LeapReader products...and my son was more excited than I was! LeapReader™- LeapReader engages kids in imaginative stories with lively character voices while building vocabulary skills and growing reading comprehension skills. Interactive handwriting guidance helps children learn to write stroke-by-stroke on mess-free, no ink LeapFrog® Learning Paper. Plus Leap Reader helps develop listening comprehension skills on-the-go with a growing library of 100+ audio books and more featuring classic and popular children's books that encourage a love of reading. LeapReader™ Book: Learn to Write Letters with Mr Pencil- Join Dot, Dash and Mr. Pencil on a musical learning adventure featuring interactive stroke guidance, exciting sound effects and engaging activities. Practice writing the alphabet with the LeapReader, and learn about upper- and lowercase letters and letter sounds. LeapReader™/Tag™ Interactive Talking Words Factory Flash Cards- This Early Reading flash card set helps develop core phonics skills by letting children actively play with word sounds and recognize how they come together to create words . Mix and match letters to build more than 100 words featuring short vowel sounds. More than 400 interactive responses and 5 spelling, rhyming and singing games reinforce word-building fun. We soon found out that the LeapReader is the complete learn-to-read-and-write solution. LeapReader engages kids in imaginative stories with lively character voices while building vocabulary skills and growing reading comprehension skills. 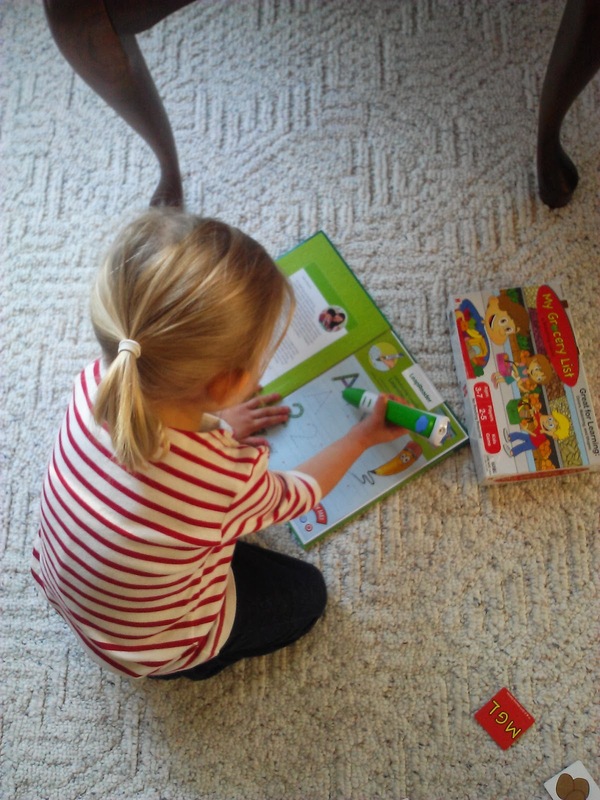 Interactive handwriting guidance helps children learn to write on special mess-free paper. 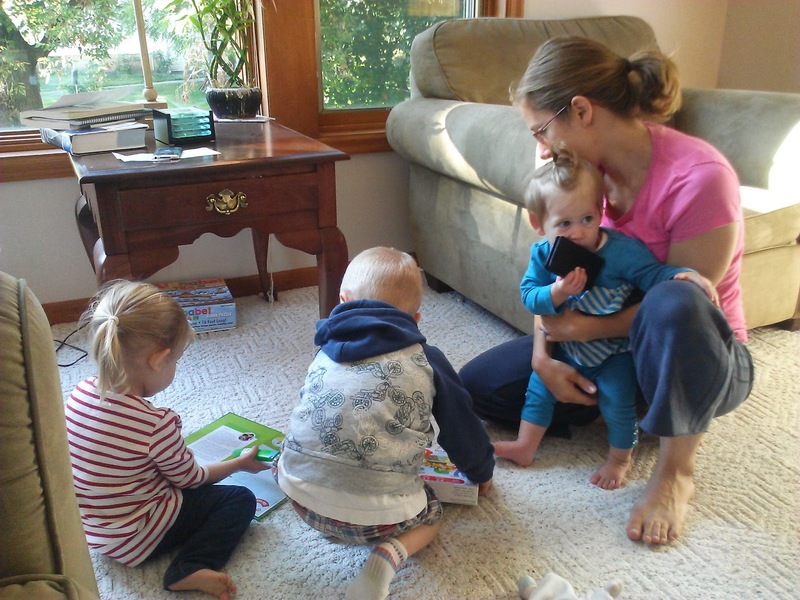 Plus, LeapReader helps develop listening comprehension skills with audio books. The other parents and I loved how the LeapReader told them what letter they were tracing, how to trace it and gave them constructive and positive feedback! I have to say though that the hit of the party was the LeapReader Talking Words Factory Flash Cards. These cards feature mix and match letters on interactive flash cards than can build more than 100 words with short vowel sounds. Turn letters into words at the Talking Words Factory by playing 5 rhyming, spelling and singing games. Touch letters to hear them pronounced. Enjoy 400+ audio responses and sing-along songs that reinforce the learning. 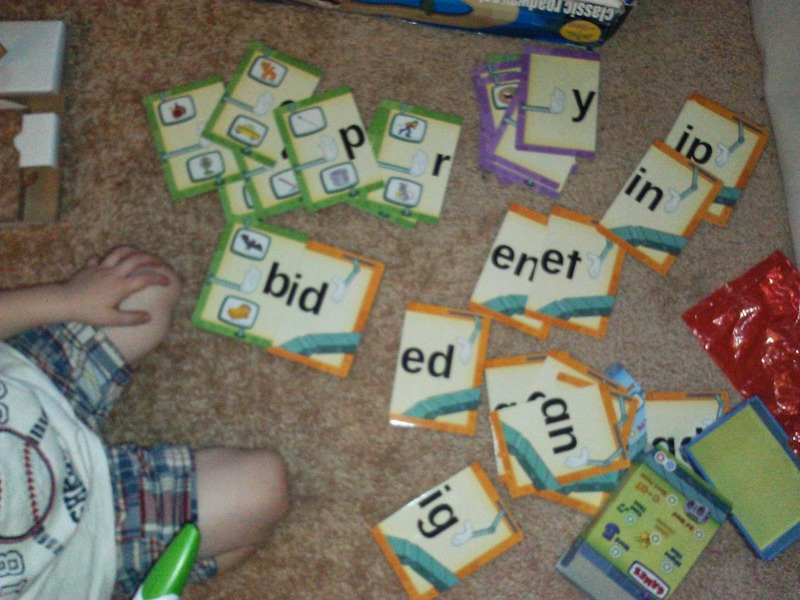 Identify spelling patterns and swap out beginning letters and ending letters to create new words. Includes storage box. They were so versatile and I loved how many different ways children can learn with these cards! They can practice their alphabet and their sounds, they can rhyme, make words, sound out words and SO MUCH MORE! Such a great way to learn and so fun! So, overall the party was a success, we had a ton of fun learning, writing and reading and I can't wait to continue to use these LeapReader resources and educational products throughout the school year!